Mid range laptops are doing pretty well in the Indian market. Even the best companies are releasing their best laptops under Rs 20,000, These low budget laptops are selling in large numbers, compared to medium and high end laptops. People who were interested to buy desktop PC’s are now showing interest to buy a low range laptop within their budget. Of course people are very smart in selecting a laptop, but they are still confused whether to go with a particular model or not. So we’ve listed out thye best laptops priced between Rs 20,000 to 25,000 which are selling in huge numbers. Our previous article on the Best i5 Laptops Under Rs.35,000 has helped many people to buy a better laptop on a budget. If you are looking for that range of laptops, please have a look at the article and comments section for more information. If it’s a lower price point you’re looking at, here’s the best laptops price list between Rs 20000 to 25000 given below. 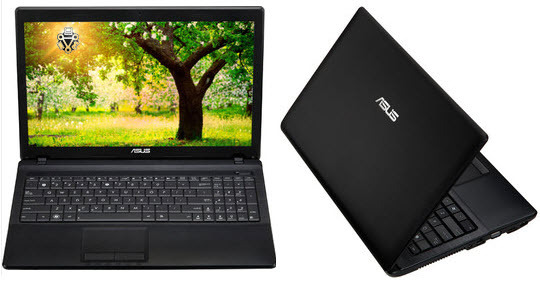 Asus has made it mark in the low budget laptops category in India. The Asus X54C model is very popular for its low price and amazing features. The Intel Pentium Dual Core processor will allow you to multitask without any slowing down issues. This laptop is suitable for office work and casual use, without compromising in speed and performance. 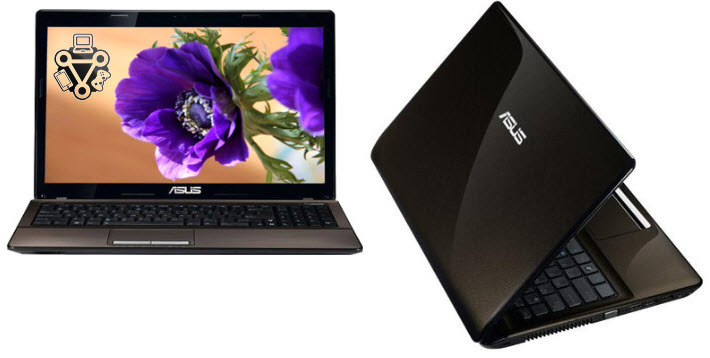 Check out the technical specification of Asus X54C-SX365D Laptop below. This low range laptop from Samsung has decent features and pricing compared to other international brand products. The Samsung NP300E5X laptop comes with dual core processor, and is mostly used by college studies as a regular lifestyle product. The hardware storage of this laptop comes with a SATA II interface, which has good performance standards. Below are the technical specification of this simple and powerful laptop. The Satellite series from Toshiba has made many sales in India already. The decent looks and good processor speed of this laptop will allow you to perform multiple tasks at a time. This laptop is a perfect choice over you desktop PC, as you are spending very little amount for a good configuration. Check out the technical specifications below. Asus X54C is known for its performance and speed. Runs smooth on Windows operating system, whereas Ubuntu 12.04 has some WiFi connectivity issues (according to few buyers). The touch pad is bit non responsive and scrolling has some issues too. Buying a good mouse can be a bit relief from using the low responsive touch pad. The display is satisfactory with good brightness and reflections. The sound, video playback are decent enough for such low priced laptop. HP laptops are known for their brand value in India. People would surely go with a branded laptop, when they are considering other laptops with same price tag. Keeping this in mind, HP has launched its low end model called HP 450. This laptop soon became very popular in India, and mostly out of stock in all eCommerce portals. The processor speed is pretty slow, and storage is restricted to only 320 GB. But this laptop would be a great choice for office staff and novice users. 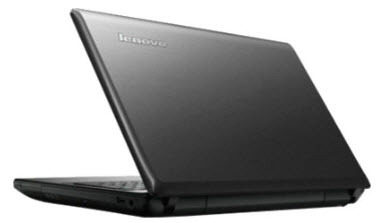 Lenovo Ideapad S206 was a successful low budget laptop from Lenovo. This laptop has the usual specs compared to other laptops in this range. Though they got the APU dual core processor in this laptop, the 1.3GHz clock speed is a bit disappointing. Even the storage is limited to only 320 GB, which is low compared to other models. The display looks okay, but 11.6 inch screen for a laptop within this range is pretty bad. You can check the technical specs below. Fujitsu is growing fast in India. The Fujitsu Lifebook AH531 has a dual core processor with good clock speed. The 2.2 GHz speed is pretty good and so is the memory. The storage is just 320 GB, but it got a good display, a 15.6 inch LED display. Fujitsu Lifebook AH531 is already a well selling device in the Indian market. Though the service centers are quite low in number, this is still a good buy. The Lenovo Essential G580 is a lifestyle laptop with good specs. This laptop has got a dual core processor and 2.2 GHz clock speed. The improved 15.6 inch screen is an additional advantage in this laptop. Compared to the previous laptops, Lenovo G580 has got some good reviews and users trust. If you are looking for a low budget laptop under 25,o00 then go with this Lenovo product. Even the storage is good, there’s a 500 GB SATA HDD. Check out the technical specs of this laptop below. The HP Pavilion is a popular model in HP Series. The HP Pavilion Sleekbook comes preloaded with Windows 8 operating system, and has an amazing sleek design and look. Unlike other laptops, this laptop has a good sound quality and improved body design. The only problem with this laptop is its touch pad mouse buttons, which are pretty hard to use. This laptop is a good alternative for your daily use laptop/desktop. But gamers and pro users would be disappointed with the slow performance. When you multitask or use more CPU speed, the fan might really bother you. You can check out the detailed technical specs of this laptop under the picture. Sony is known for its brand value. The VAIO series has been the product of choice for business users. This laptop has got a stunning look and design. Features and specs wise though, you might be disappointed. The Sony VAIO SVE11115EN Laptop is slightly over priced, and should be considered as a luxury product. You can check out the detailed technical specs of this laptop under the picture. These are the best laptops prices list between Rs 20,000 to 25,000. 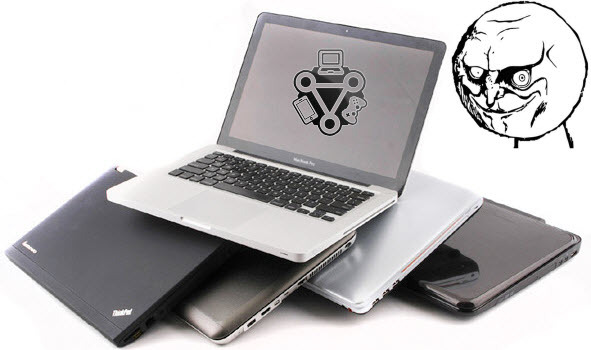 Do check out the difference between Laptops vs Netbook vs Ultrabooks, to avoid confusion in buying a laptop. As always, make sure to check your warranty and what it covers. If you need any more help, write to us below! great post bro…….acer laptops also falls into this competetion under 20k to 25k range!!! Great Great Great 🙂 Thanks Satish. . . Every day i am getting email regarding “Which lappy is best under low budget and all”…. Hope this will guide them. ReAlly… waiting the uber cool ultrabooks to come with in this price range !! Really !! That would be cooler !! Awsme mate 🙂 one of my friend is looking for low badget laptops so i think its soo helful 🙂 thnks bro! Go for any of these, but at this budget don’t expect anything out of the world with regards to sound system or otherwise. They’re all about the same specs, so it’s good for light usage. Is the price of laptops between 20k to 25k available these days. Kindly reply. Yep they are, you should be able to find many in this range. I have SONY vaio i3 E series laptop, and let me tell you the reality about this fake product. All the technical spec looks and heard very good but when it comes to using it, it is very low performance laptop. 4)Cabinet quality is very very bad. 5)After buying this laptop, it change the synonym of Durability for me its a package disaster. Please suggest me some good laptops with below mentioned spec b/w 20 To 25k for gaming and good internet speed. Please give me feedback back about this one as well..
You won’t be able to play any modern games with that budget, and the one you linked is far less powerful than an i3. It’s mostly just meant for browsing and videos, at the max. great post man.and were can I get the laptop…. I am plan to buy a laptop ,95% for official use & learning . My budget is 20k to 25 k ,friends suggesting for the brands DELL,ASUS,ACER,HP . Need your assistance which one to go and what are specifications to be seen while buying online. You probably won’t be able to get this one now, it’s an old model.